Imagine your wedding day, the guests arrive, they find their seats, gentle music is playing and a professional host greets them warmly. 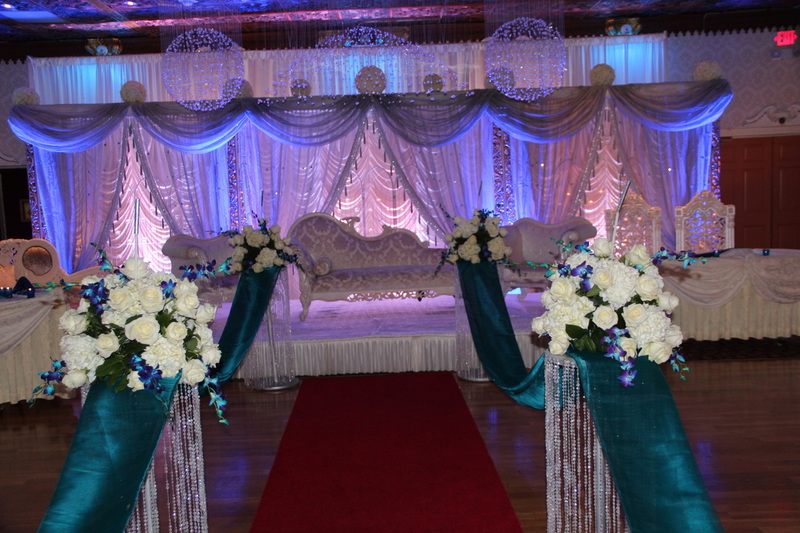 The room is elegantly dressed, and your decorations are finely set. Your hall is beautiful and set for an evening of fun! But is this all it can be? Why settle for overhead lighting that may or may not be able to dim? Why settle for the same look that every wedding has at this location? Here is where you can go from great to amazing! 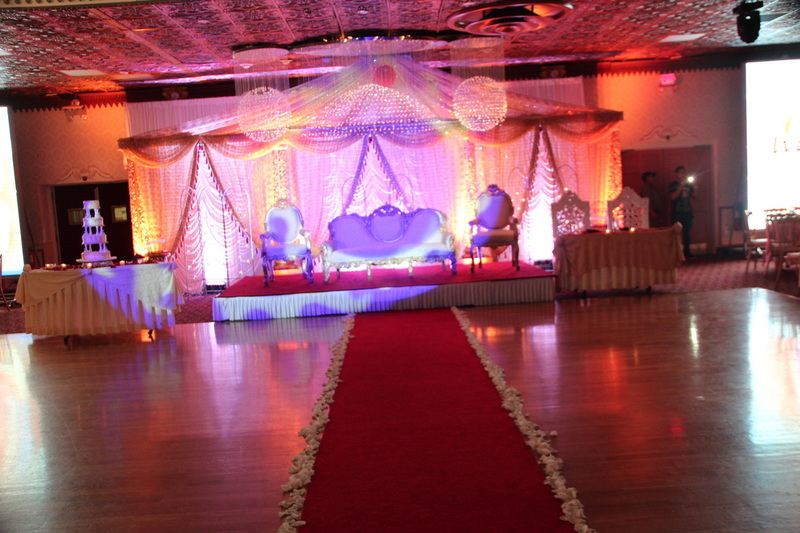 With our wedding uplighting, you have the option to decorate your room with light! 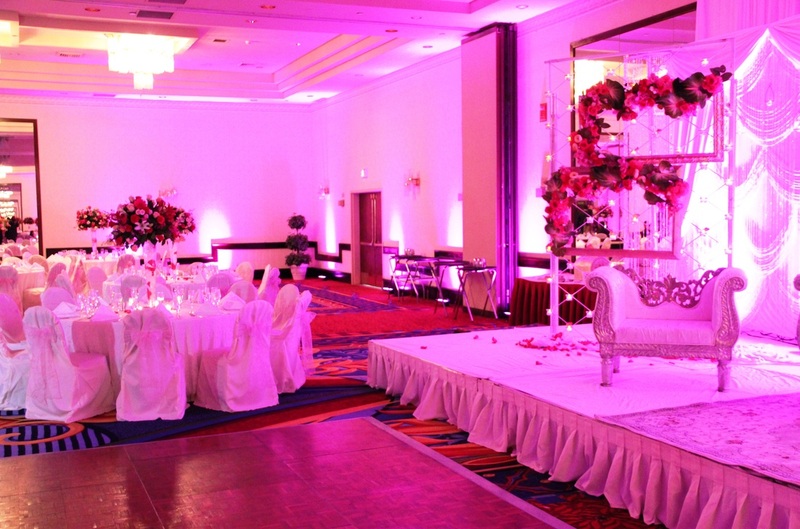 Imagine the bare walls suddenly shaded with your wedding colors! Imagine how candles will glint and crystal will sparkle when the room glows softly with dramatic and beautiful brilliance and the contrast of soft shadows. When you have created such detail in the preparations for your special day, the room deserves equal attention. When you use uplighting from us to create a unique ambiance for your reception, your photos have an instant back drop! 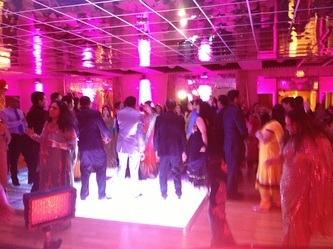 Your dance floor is not only lighted by special effect lighting, but by a surround of brilliance! The ordinary becomes extraordinary, each moment becomes more memorable because your guests are seeing something they typically don't see at most events. 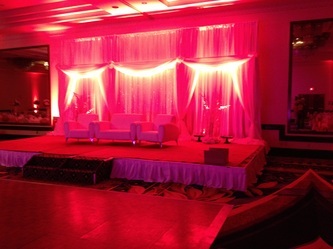 Here a few things to consider when planning uplighting for your event. 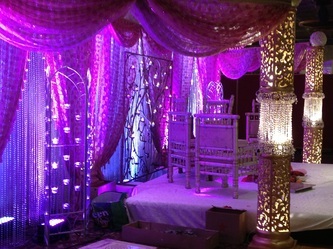 What up light colors will compliment your room, the decorations, your bridal colors and the theme of your night? 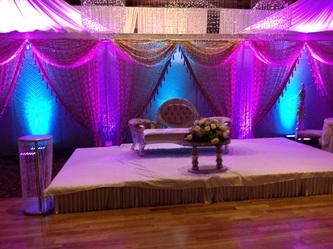 A soft purple or blue is great for a more soothing feeling or a calming effect. Oranges and yellows are used to create drama, passion, and fire! We have several lighting options to choose from to make your event a special one. 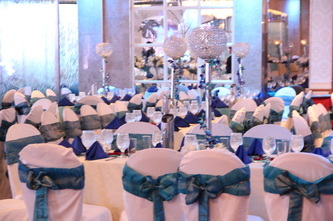 We can turn any venue into an elegant event or into a club for that special sweet 16 event. We have a large collection of LED lights that can be used to light up (Mandaps, Venue Walls, Sweet Heart tables, bars, pools and much more). With our up-lighting package, you can choose from many different colors to match the right ambiance for your event.